Your skin protects your body, but that's not all. It's the face you present to the world. When healthy, it's a source of beauty. The choices you make every day -- what you eat, where you go, how you feel -- affect how your skin looks. Use this visual guide to keep your skin youthful, healthy, and wrinkle-free. Want good skin? Watch your diet. Higher intakes of vitamin C and a lower intake of fats and carbohydrates are associated with better appearance as your skin ages. Changing your diet will help your looks. Foods rich in antioxidants, such as fish, fruits, and vegetables, seem to help protect skin. 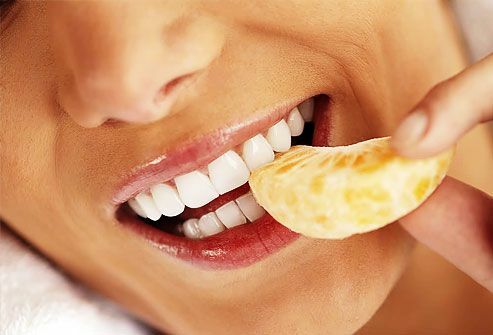 Some studies suggest that to avoid breakouts, go for complex carbohydrates (like whole grains and pasta) and healthy protein. Dairy may also be linked to acne flares. Exercise benefits every part of your body -- including your largest organ, the skin. Working out improves circulation, helping nourish the skin. Better blood flow brings more oxygen and nutrients and may help your skin produce collagen, which staves off wrinkles. 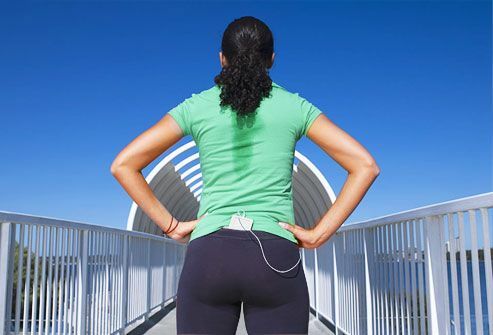 Don't fret about sweat -- exercise will not clog your pores. Wash your face right after a workout and avoid tight headbands, which can trap sweat and irritate skin. Burn the candle at both ends for a few nights, and you may see it reflected in your face: Dark circles under the eyes, pale skin, and puffy eyes. Getting 7-8 hours a night will keep your body and skin in top shape. It matters how you sleep, too -- rest your face on the pillow in the same position for years, and you'll get wrinkles where the skin is pressed against the pillow. Sleeping on your stomach will worsen bags under your eyes. Solution? Sleep on your back. Stretch marks -- 90% of pregnant women get them. They may fade after delivery. Moisturizers can slightly improve the appearance of stretch marks. Prescription vitamin A creams or laser therapy may help too, but they should not be used while you are pregnant. Acne is another common skin problem, caused by the extra hormones in your body. Your best bet for avoiding breakouts is to wash your face twice a day and use an oil-free moisturizer. Ask your doctor before using any acne products. Some women develop dark patches -- melasma -- on their faces when they're pregnant or taking birth control pills. 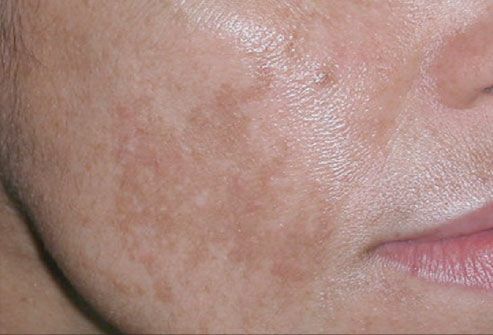 An increase in melanin, the substance that gives skin its color, is responsible for these dark patches. Melasma usually fades after delivery or when you stop taking the pill. Prevent pigment changes by wearing sunscreen at all times and avoiding the sun. Melasma can also be treated with chemical peels or topical prescriptions of hydroquinone, retinoids, azelaic acid, niacinamide,kojic acid, or hydroxy acids that lighten the patches. But strict avoidance of sunlight is required. 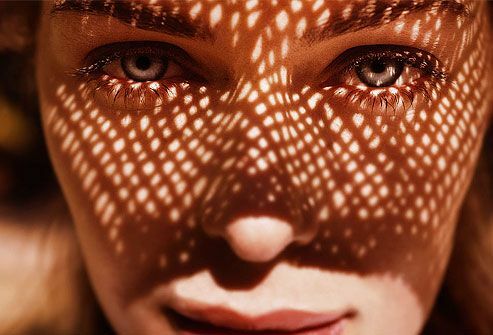 Whether or not you were a sun worshipper, chances are your skin has sun damage. About 90% of all skin damage is due to the sun. As your time in the sun goes up, so does your risk of skin cancer. Protect skin by always wearing broad-spectrum sunblock. Look for products that contain zinc oxide, titanium dioxide, or avobenzone. 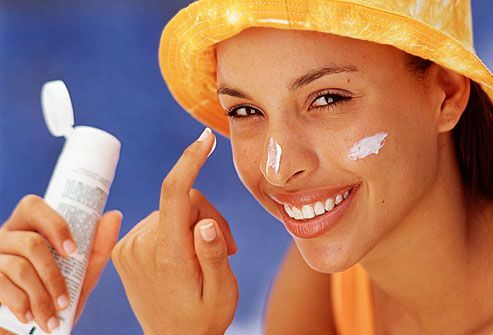 Sunscreens with an SPF of 30 or higher are best. Wear wide-brimmed hats and long sleeves, and avoid the sun between 10 a.m. and 2 p.m., when rays are strongest. As you age, your skin changes. Your body doesn't produce as much collagen, and the elastin that allows skin to spring back into place gets weaker. You also don't create or lose skin cells as fast. 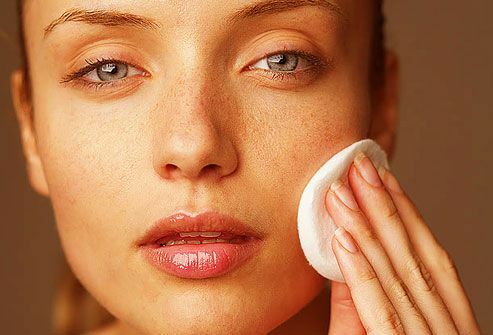 To boost aging skin, exfoliate to remove dead skin, use a nondrying soap, and moisturize often. Use over-the-counter retinoids to reduce fine wrinkles, or ask your doctor about a prescription version. Most of all, stay out of the sun. Should You Drink Coffee or Wear It? 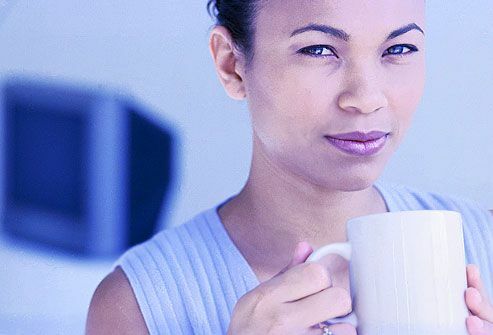 Caffeine in coffee and tea is dehydrating, so it may cause your skin to dry out. But a study found that when applied topically to skin, caffeine may help reverse sun damage and lower risk of some skin cancers -- in mice, at least. Researchers are now trying to see if topical caffeine protects human skin, too. Too much alcohol is bad for your skin as well as your body. Alcohol is a diuretic; it causes the body to lose water. That can contribute to dry skin. It also dilates blood vessels. That's why drinkers often have red, flushed faces. Over time, these blood vessels can become permanently damaged, so that skin stays red. 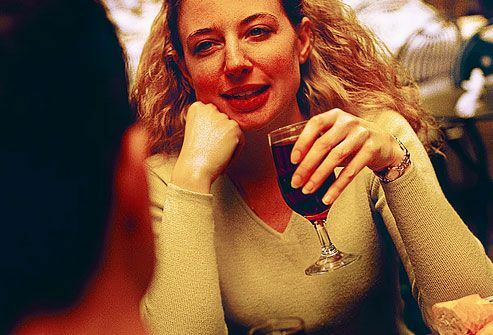 Alcohol, especially red wine, can also trigger rosacea flare-ups. Simply put, smoking is bad for your skin: It's second only to the sun in causing premature wrinkles and dry skin. In fact, under a microscope you can see wrinkles in smokers as young as 20. 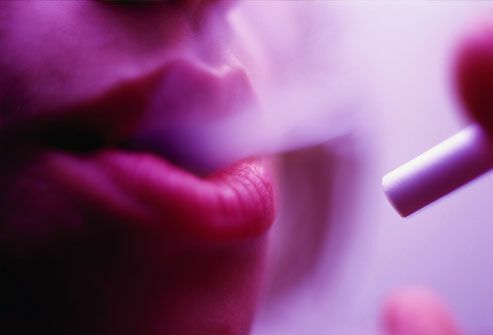 Smoking reduces blood flow to the skin and contributes to the breakdown of collagen. Less collagen means more wrinkling. And yes, pursing your lips repeatedly encourages wrinkles, too. You can't reverse the damage, but you can stop it by quitting smoking. Cold weather and wind bring on dry, flaky skin and can make eczema and rosacea worse. It's not just the weather outside -- dry heat indoors is harsh on skin, too. Fight back by using a humidifier at home, drinking lots of water, and applying moisturizer throughout the day. Remember the sunscreen when you go out. Want a tan? Get a safe one: use a bronzer or sunless self-tanner. (But most don't contain sunscreen, so they don't offer any protection from the sun.) Remember to use a broad-spectrum, water-resistant sunscreen on all exposed skin and to reapply every two hours or more frequently if you're sweating or have been in the water. And unless you have persistently dry skin, switch to an oil-free moisturizer to avoid breakouts in humid weather. It's a good idea to rinse off after being in the pool to get rid of any chlorine on your skin. It doesn't take long on a plane for skin to start feeling dry and tight, thanks to low humidity in the recirculated air. 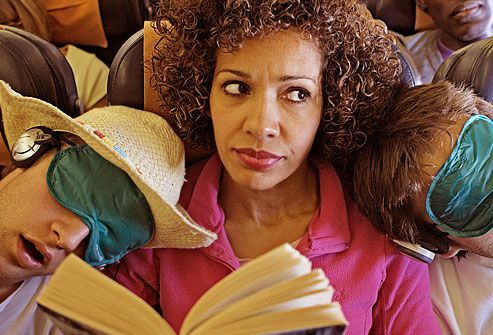 Have a travel plan for your skin that includes drinking water -- not coffee or alcohol -- and moisturizing before, during, and after your flight. Don't wear makeup on the flight if you can help it. Keep a travel-size bottle of lotion in your carry-on bag. Hollywood lives by it: Changing the lighting can change the way you look. Fluorescent lighting can make skin tone appear more red or yellow, while incandescent lighting softens colors and imperfections. 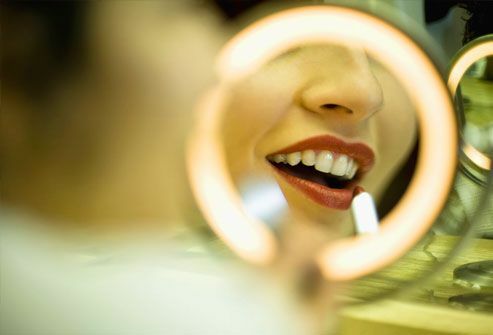 Use mirrors with varied lighting to view your skin and makeup under different conditions. That way you won't look overdone or sallow as lighting changes. Go more dramatic at night, when lighting is lower. (7) "Color Atlas of Cosmetic Dermatology"; Marc R. Avram, Sandy Tsao, Zeina Tannous, Mathew M. Avram; Copyright 2007 by The McGraw-Hill Companies, Inc. All rights reserved. AgingSkinNet: "Causes of Aging Skin." American Academy of Dermatology: "Mom and Baby Skin Care," "Melasma," "Melasma: Diagnosis, Treatment, and Outcome." Dr. Marilyn Berzin, dermatologist, DC Derm Docs, Washington, D.C.
EPA: "Health Effects of Overexposure to the Sun." Harvard Health Report: "Skin Care & Repair." Billy Lowe, owner of Billy Lowe Hair Studio in West Hollywood, Calif., and beauty expert for "Extreme Makeover," and TLC's "10 Years Younger"
Medscape: "Clinical Review: Topical Retinoids: Clinical Uses," "Few Vitamins Effectively Prevent or Reverse Skin Damage." Mitani, H. Photodermatology Photoimmunology & Photomedicine, April/June 2007. Skin Care Guide: "Fighting Dry Skin: Tips and Facts You Should Know." Smith R. Journal of the American Academy of Dermatology, August 2007; vol 57 (2): pp 247-256. TeensHealth: "Does exercise really help your skin and acne?" University of California, San Francisco School of Medicine, Department of Dermatology: "Sunblock." University of Colorado Hospital: "The Skin-y Facts on the Benefits of Antioxidants in Skincare Products."